The Laws of Energy Balance FTW! Weight loss maintenance is not determined by calorie intake… or physical activity… but by The Laws of Energy Balance FTW!!! Odd, the sensation I felt when reading this news release (gloating?). 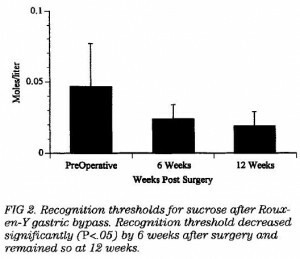 As reported at a meeting of the Obesity Society, results from the Utah Obesity Study of gastric bypass patients 2 and 6 years after surgery. By the 2 year mark, they lost over 100 pounds, or 36% of their starting weight (went from 296 to 189 pounds). Energy expenditure declined from 2201 to 1736 kcal/day. Food intake went from 2085 to 1638 kcal/day. 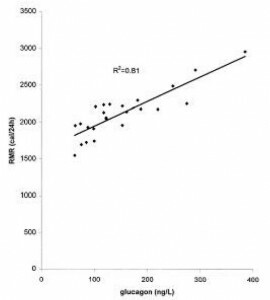 (Hint: it’s no coincidence that energy expenditure and food intake declined to the exact same degree.) Physical activity and fitness levels increased. By the 6 year mark, they still weighed 29% less than their starting weight. N.B. that’s an amazing level of success, it’s virtually unheard of in diet intervention studies. +1 for gastric bypass; -1 for nutrition. Here’s what piqued my interest: during the gradual increase from 189 pounds to 210 pounds, which occurred between years 2 and 6 post-surgery, the most significant factor associated with weight regain was not calorie intake or physical activity… it was metabolic rate. This represents another fail for “eat less move more,” and a win for the Laws of Energy Balance. 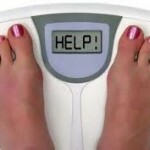 So what’s this got to do with The poor, misunderstood calorie? 2) Fructose vs. The Laws of Energy Balance (circa December, 2011): sugar-sweetened beverages can cause fat gain, not by providing excess calories, but by reducing metabolic rate. 3) Holiday feasts, the freshman 15, and damage control (circa January 2012): overeating a high protein diet causes less fat gain than overeating anything else because it increases metabolic rate. 4) Missing: 300 kilocalories (circa July 2012): after losing weight, subjects assigned to the low carb diet maintained a higher metabolic rate than those on an isocaloric low fat diet. “Eat less move more” is not the answer. But eating less sugar, more protein, and fewer carbs might be. Nutrition matters. If at first you do not succeed, try, try again. Opus 94. Yo-yo dieting is “probably” not good, but giving up is worse IMO. I say “probably” because obesity researchers have empirically tested just about every single weight loss intervention except this one. Furthermore, you’d be hard pressed to find an obese population who’d agree to undergo an intensive weight loss regimen, only to intentionally regain the weight. Rinse. Repeat. The study would be a nightmare to design from a philosophical perspective, and psychological torture to the volunteers. But what if they did? Would they end up with more fat mass? Less? Right back to where they began? Maybe you don’t recognize the study by name, but you have definitely heard about their key finding: weight loss causes a decline in metabolic rate which makes further weight loss or simply maintaining more difficult. 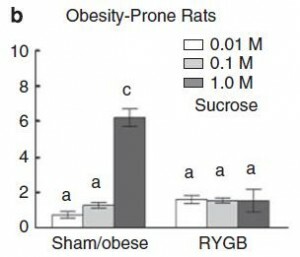 The other finding was that the opposite also occurs: during weight gain, metabolic rate increases to drive weight back down to its starting point. All-in-all this was a great experiment and it has a lot of street cred; nobody including myself has ever had anything really bad to say about it. In brief, volunteers were fed either: 1) the maximally tolerated amount of self-selected foods (~6500 kcal!) until they gained 10% of their body weight; or 2) 800 kcal of a liquid formula (40% fat, 45% carbs, and 15% protein) until they lost 10% of their body weight. 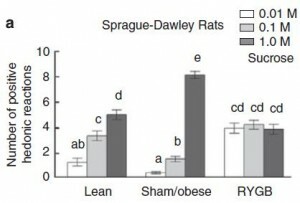 When lean subjects gain 10% of their initial body weight, 80.1% of it is fat mass. In obese subjects, however, only 58% is fat mass. Thus, obese people gain more muscle and less fat than lean people during weight gain (e.g., the holidays). After a 10% weight loss, 64% of the weight is fat mass in lean subjects while a whopping 84% is fat mass in obese subjects. 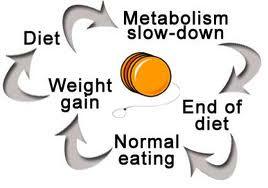 Thus, obese people lose more fat and less muscle than lean people during weight loss (e.g., New Year’s resolutions). By the end of 3 complete yo-yo cycles, the obese person is down 3 kg body weight, but more importantly their fat mass has declined by 9 kg, from 50% to 42% of their body weight (winner!). The unfortunate lean subject, however, despite being 2 kg lighter, now has an additional 2 kg of fat mass; in other words, they lost weight but got fattier (20% body fat to start out, 23% by the end). A. You learn glucagon is the bad guy. Zero insulin makes you hyperglucagonemic, hyperglycemic, and ketoacidotic (see first column). Insulin cures all of these things (second column), but they aren’t caused by insulin deficiency, per se… they’re caused by high glucagon, which itself is cured by insulin (second column) and SRIH (somatostatin, third column). Cure the hyperglycemia by inhibiting glucagon and pathological diabetic ketoacidosis suddenly becomes physiological ketosis. 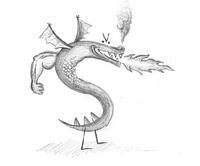 Uncontrolled diabetes also wastes muscle: Zero insulin makes you hypermetabolic and increases amino acid oxidation. 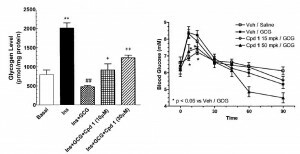 Insulin cures this, but again, it appears to be driven by hyperglucagonemia, not insulin deficiency. 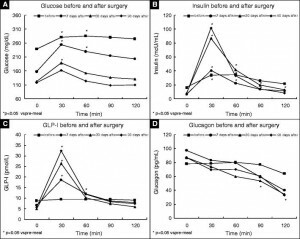 Glucagon directly correlates with energy expenditure, and this isn’t the good metabolic rate boost sought by dieters, it’s the type that indiscriminately burns everything including muscle. High protein diets also increase energy expenditure, but in pathological hyperglucagonemia, the amino acids come from muscle, not food. The above mentioned study is most relevant to type I diabetes. The following study is about glucagon and the far more common type II diabetes (Petersen and Sullivan, 2001 Diabetologia). 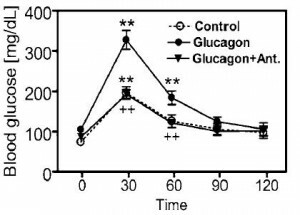 The physiological role of glucagon is to prevent hypOglycemia; but hypERglycemia is the problem most of the time. Don’t get me wrong, hypOglycemia can be deadly, but 1) it’s not nearly as prevalent as hypERglycemia, and 2) inhibiting glucagon doesn’t cause hypoglycemia, there are a battery of counterregulatory hormones that prevent hypoglycemia. 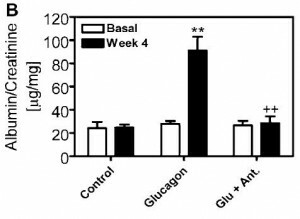 Furthermore, reducing glucagon action isn’t limited to glucagon receptor antagonists (GRAs), leptin and amylin can do it too! 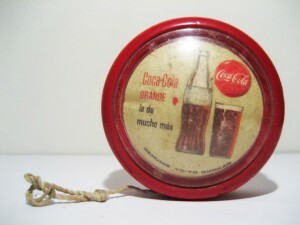 More on the relationship between obesity, delicious food, and the magic of gastric bypass. 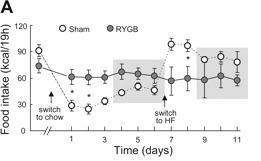 I wish I knew how, but this study definitely shares a theme with the remarkable effects of a bland diet and spontaneously reduced caloric intake in obese but not lean subjects, (from the first post in this series, found here).